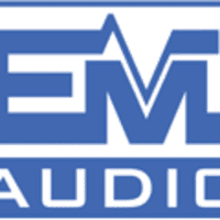 EMI Audio is family owned and has been in business since 1973. We are centrally located in Robbinsdale and our new building provides the home for our different departments including a 10,000 square foot showroom to demo rental and sale items. Rentals - Our rental department has a huge inventory of up to date equipment. We stock all types of audio, lighting and video products. We have everything you need for a small meeting to a large concert. We will help make your event successful. Design, Installation & Acoustics - Our install department has extensive experience with all types of audio and video systems. We have been chosen by national chains to perform installs and service in the Minnesota Area. Our primary focus is on Churches and Schools with 100’s of successful installations. Repair & Field Service - We began as a service company and continue to provide support to our install, rental and repair customers. We are a service center for over 50 manufacturers. Service calls are often performed the same day our customers call. Our customers have priority over any other repair even after the one year all inclusive warranty is over.